Indian Summer have just celebrated their 15th anniversary in Brighton - no mean feat for a restaurant. And they were packed to the rafters when we visited too so the popularity certainly isn't waning. I must say I haven't visited for quite a while, and not since their move to bigger premises a few doors up from their old site. However they still champion the authentic, regional Indian cooking they always have done. The restaurant is large, stripped back and modern, with gorgeous blue hues and huge photographic murals. It does feel a touch corporate in places and whilst I do like a bustling atmosphere in a restaurant, it was ear splittingly loud due to the size of the space and the hard surfaces. I had to move right next to Mr GF (I don't mind, he's lovely) to hear him and bless our waitress who crouched down to bellow in our ears! What I did like though was the menu length. Concise and well considered for variety, a short menu is often a sign of confidence. Plus is there anything more boring than starting a meal wading through pages of options? My starter of Bhel Puri looked unassuming but was utterly gorgeous. This street food snack had a base of of crunchy puffed rice and gram flour sticks topped with cubes of potato, onions, chickpeas and tomatoes. A tangy tamarind sauce and yogurt dressing brought it all together with fresh coriander and chilli. It's definitely an unusual one for Western palettes but so additively delicious, the textures are a lovely, lovely thing to eat. I did take a mid-eat shot to show you but half eaten food pictures..just no. Better to order one yourself. The ever crowd pleasing Onion and Aubergine Pakoda arrived as a healthy portion. 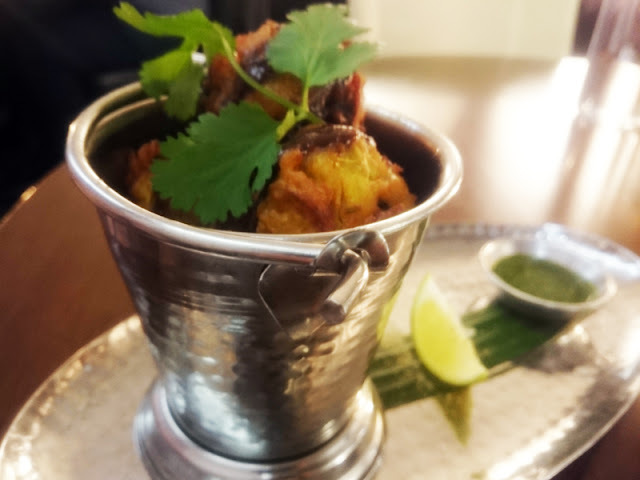 These deep fried fritters were crunchy with a real kick of heat and the aubergine gave them a pleasant, creamy consistency in the middle. I just adore the type of green coriander chutney they served with this too. How can a carnivore not order the Tandoori Platter? It's impossible to resist! 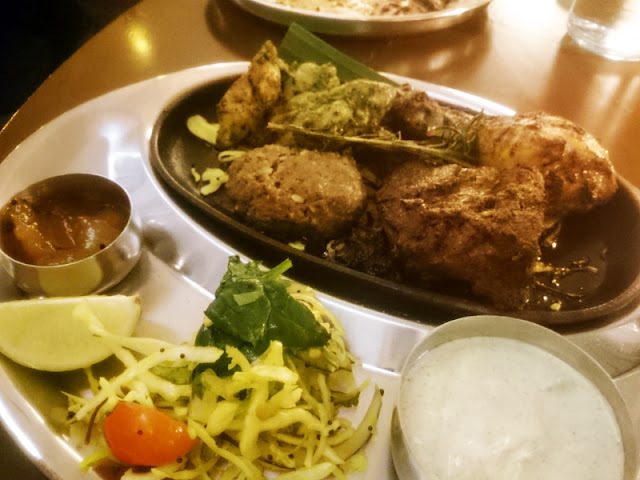 Indian lamb chops, done well as they were here, are irresistible and always the star of the dish. Also good was the coated, spiced chicken drumstick and soft sweet lamb seekh kebab. Even better were the scrapings of the iron pan mopped up with a roti - we didn't let those go to waste. The meats were served simply with mango chutney, salad and a cooling mint raita which is all that was needed. 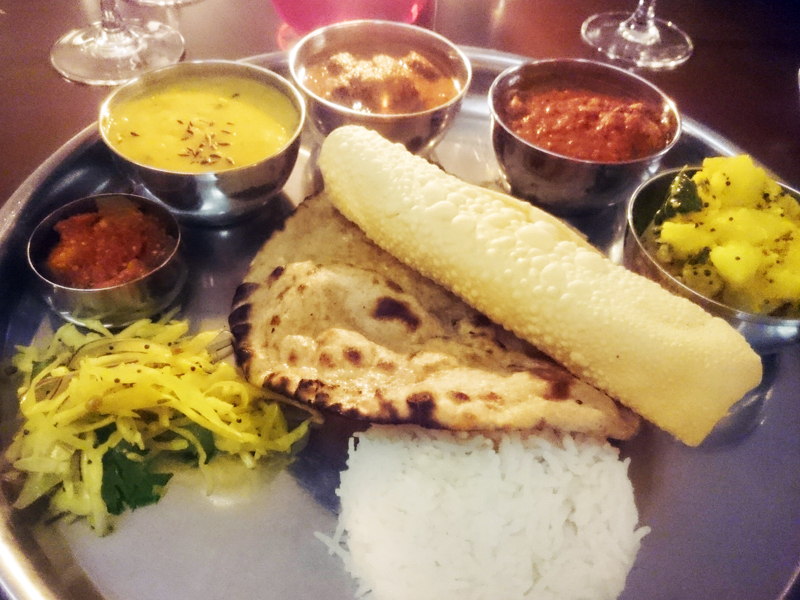 Being gluttonous and indecisive in equal measure, it had to be the Indian Summer Thali for me. Plus thalis are so darn pretty! There was a portion of mutton curry, succulent and heady in cardamom and a portion of tender chicken in a sweet, deep coconut gravy. I love a soupy, comforting dahl and the selection of hot, sour pickle and fried potatoes with curry leaves and mustard seeds made this thali a real feast of flavour. I'm almost glad they went for a slightly Westernised dessert menu here. The typical Indian mithai sweets tend to set my teeth chattering with their insane sweetness. 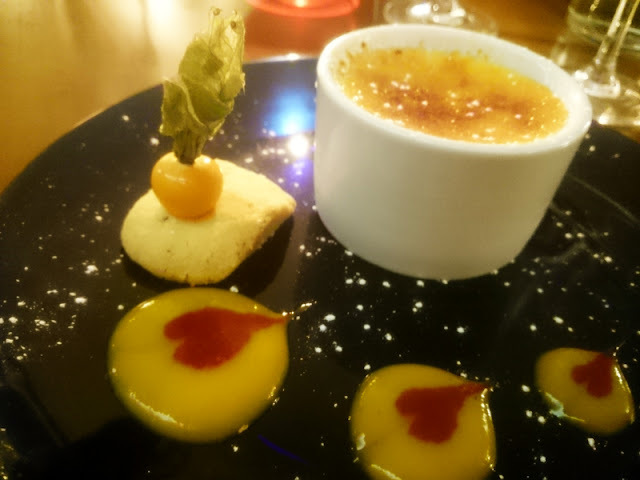 The mango creme brulee was not the smoothest I've ever had but enjoyable none the less. I liked the pool of mango puree at the bottom of the ramekin - much better there in the cool as hot mango is hideous. The small, spiced shortbread biscuit served with it was delicious, aromatic with ajwain, similar I suppose to caraway seed. 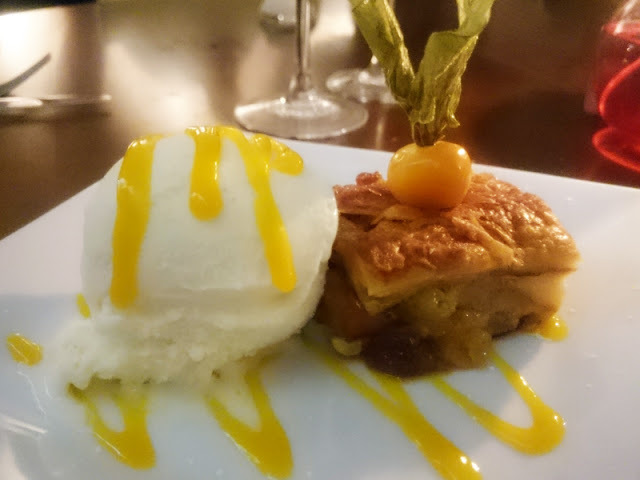 They had a decent take on the bread and butter pudding - God bless my husband and his never-ending pursuit of stodge - the additional spicing and finer "bread" layers made it one of the nicest I've tried. The levels of spice and heat throughout the meal were pleasant, more layers of flavour and interest than gratuitous fire. They still offer an amuse and palette cleanser which I suppose is a nice touch but I've always found unnecessary and a bit fussy in between the courses of powerful and robust flavours. Service was smart and professional throughout and timings were spot on. There was a pretty interesting wine-list with some highlights handily pulled out that were particularly well matched for spicy food. 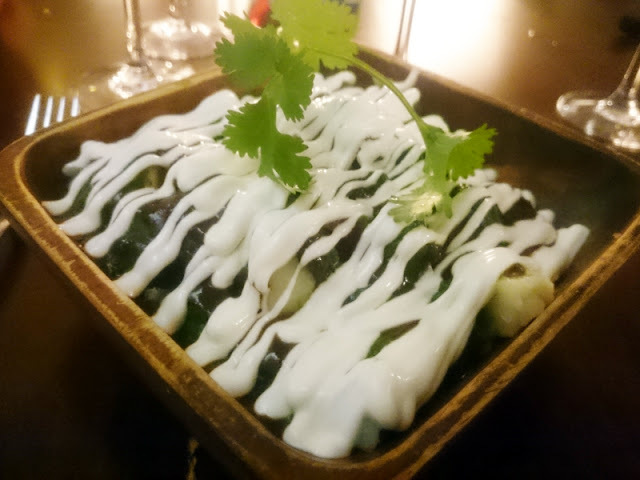 Despite its popularity, and I'm sure plenty of loyal regulars, it's a shame that Indian Summer is sometimes overshadowed by the infamous Chilli Pickle who have really helped put Brighton dining on the map. Maybe it's because of their more showmanship dishes (God forbid they take that pork knuckle off the menu - they'll be riots in Jubilee Square) or their more vibrant aesthetic that elevates their profile, but Indian Summer is by no means a poor second cousin. Highly worth a visit if you haven't been before or for a while. I was invited to review Indian Summer. Words and thoughts, as always are my own.